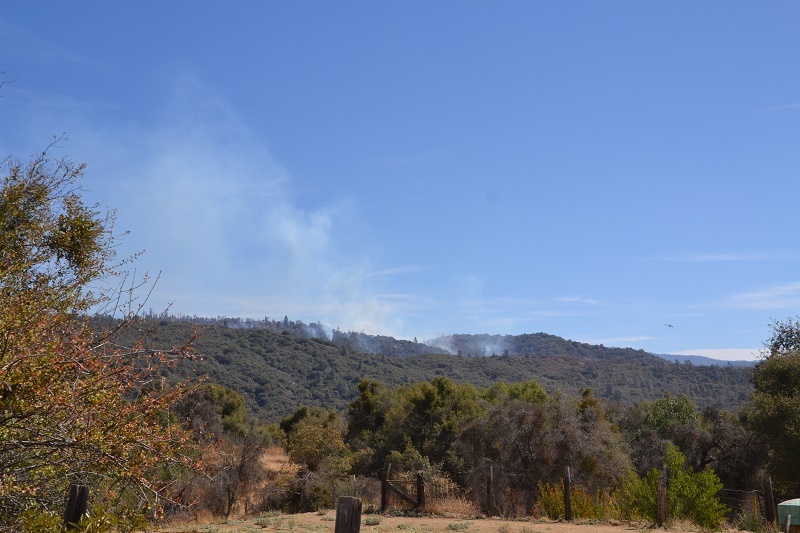 AHWAHNEE – Firefighters made excellent progress today on the Oak Fire, burning northeast of Ahwahnee above Road 620. The fire was estimated at 390 acres at 1:30 p.m. today, and is holding at that acreage. The fire is 35 percent contained. 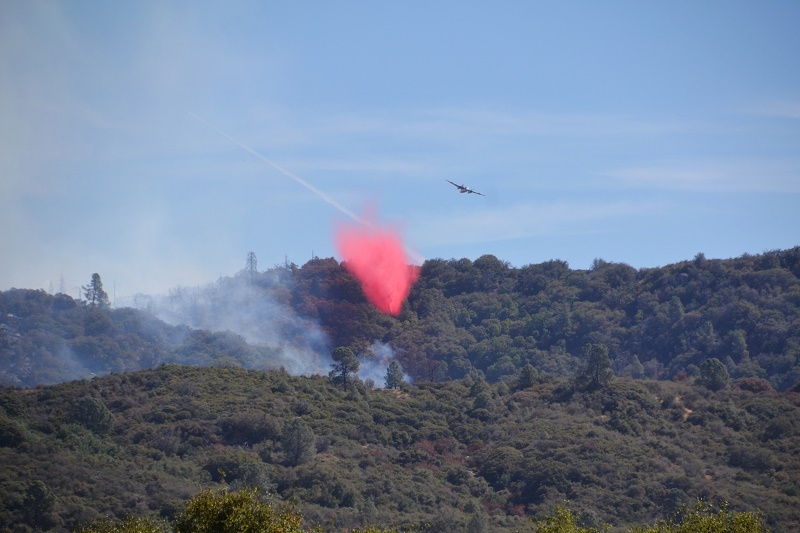 The mission for the day was to hit the east flank hard with water drops and retardant between Road 620 and Forest Road 6S17. 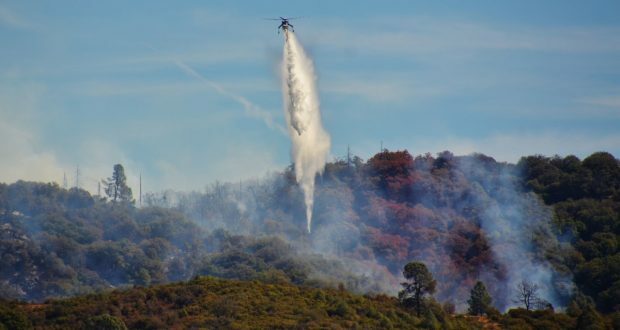 Air resources were over the fire at about 9 a.m. and continued to drop and reload, painting the ridge north of Lonesome Oak Lane where the fire started, and allowing crews on the ground to cut and hold their line. There is now line around the entire perimeter and crews are working on mop-up and strengthening those lines. The new section of line completed today on the southeast portion has hose lay in place. There are currently 318 personnel assigned to the incident. We will update in more detail after tomorrow’s morning briefing, including new maps. All mandatory evacuation orders on Road 620 have been reduced to pre-evacuation advisory status as of 8 p.m., Sunday, Sept. 23. 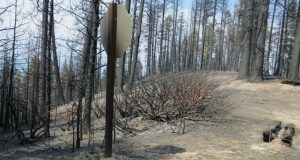 Road 620 will open to residents only at 8 p.m.
Fire personnel are still active in the area. Please reduce speeds and drive with caution. Access will be limited to residents only in areas indicated and no other public access will be granted at this time. 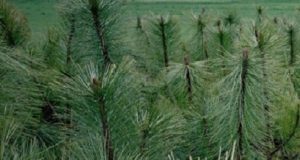 The cancellation of additional evacuation orders is being evaluated based on a variety of factors including potential fire behavior and the re- establishment of crucial infrastructure. 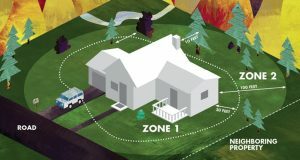 A Red Cross Evacuation Center had been established at the Oakhurst Community Center located at 39800 Road 425B. However, with no one in need of their services, they have gone on standby. Please call 559-515-3974 if you require assistance. The Center will be reopened if needed.